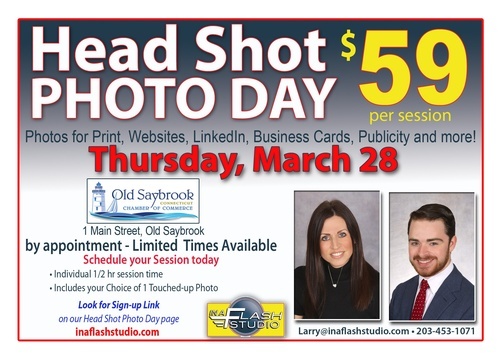 Name: Head Shot Photo Day with "In A Flash Studio"
Please understand that we in no way want to rush you in your session but we want to be considerate of the next person waiting for his/her head shot photo session. Pre-registration is required. Register online here for your 1/2 hour session.